Cabin #26, also known as Pine Cone Cabin, was rebuilt in 1984 but has retained its original 1900s structural foundation and support beams. 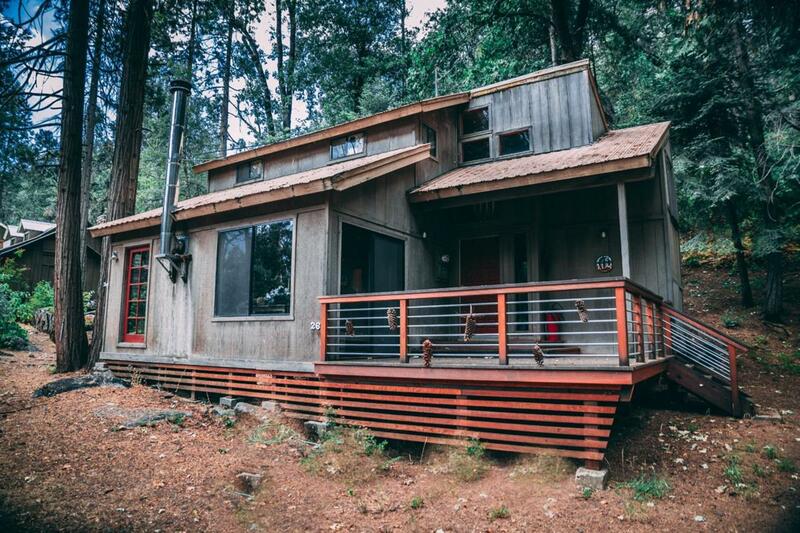 Downstairs, the cabin has a modern kitchen with breakfast nook, a large living room, and heated bathroom. Upstairs, the cabin has two bedrooms and a half bath. Additional features include: a large wood-burning stove, two electrical wall heaters, two kitchen skylights, stacked washer and dryer units in a downstairs closet, front and back decks, three spacious storage areas throughout the cabin, and copper-wired pipes to prevent freezing. Association amenities include: gated community with full-time caretaker, community pool, two tennis courts, 18-hole putting green, badminton court, swings, and library.